A solitary goal by an in-form Antoine Griezmann saw Atletico overcome Espanyol to keep the pressure on league leaders Barcelona - but they were rocked by a serious injury to midfielder Tiago. France international Griezmann netted a third goal in two games with fewer than three minutes on the clock at the Vicente Calderon, and it proved enough to beat the impotent Catalans and ensure a third straight league win for Diego Simeone's side. 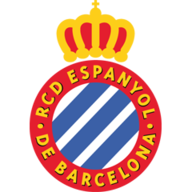 The Rojiblancos stay second in the Primera Division table thanks to the win, four points behind Barcelona and above local rivals Real Madrid, but the evening was tainted by the image of Tiago being stretchered off in the first half. The club wrote on Twitter afterwards: "MEDICAL DEPARTMENT. Tiago has a non-displaced fracture in the middle third of the right tibia." Simeone left Fernando Torres out of his starting line-up for the visit of Sergio Gonzalez's side, giving Luciano Vietto just a second league start since his 20million euro move from Villarreal in the summer. The Argentinian's strike partner Griezmann went into the game in confident mood after grabbing both goals in the 2-0 win over Galatasaray at the Calderon on Wednesday, and he needed just a couple of minutes to give his side the lead here. Youngster Oliver Torres tore into the box from the right and rolled the ball across to the 24-year-old, who sent it into the far corner with a flick of his left toe. Despite their dream start to the game, the hosts could not build on their lead and suffered a huge setback when Tiago keeled over in agony in attempting to rob the ball from Marco Asensio. The Portuguese player was taken to hospital immediately after coming off the pitch. Griezmann and Vietto both spurned a chance to double Atletico's advantage early in the second half, with the Frenchman colliding with Espanyol goalkeeper Pau Lopez as he shaped to shoot and the ball falling to Vietto, who somehow missed the target when faced with an open goal. Although only trailing by a goal, Espanyol struggled to create openings at the other end and Atletico did most of the attacking. Oliver tried to catch Lopez out from the edge of the area but the custodian was equal to his shot, while Diego Godin headed a free-kick onto the post. 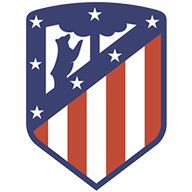 Fernando Torres also struck the woodwork in the final minutes after replacing namesake Oliver while fellow substitute Thomas Partey was denied a wonderful first goal for Atletico's first team in injury time, Lopez tipping his long-range effort away.